This week in class we have been discussing narrative as literary form. One way to pursue such a discussion is to examine the continuity between these literary forms and the way we use language in our day-to-day lives. 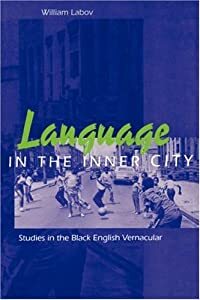 One way to pursue this continuity in narrative is by reading Mary Louise Pratt’s Toward a Speech Act Theory, in which she builds on the research conducted by the sociolinguist William Labov, specifically his “The Transformation of Experience in Narrative Syntax” in Language in the Inner City (1972). Another approach to to read short literary anecdotes and stories, including stories by William Carlos Williams and Italo Calvino. The other way is to emphasize the differences between the literary and non-literary. Near the conclusion of the eighteenth century, William Wordsworth made a case for the literary as a distinctive mode of cultural production. 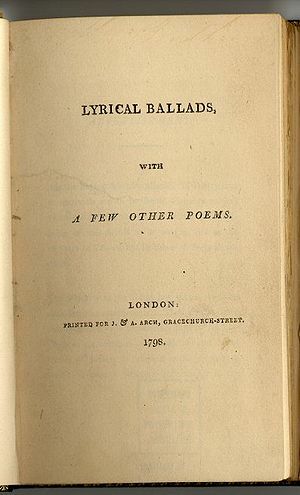 He proposed to write a poetry that would “choose incidents and situations from common life, and to relate or describe them, throughout, as far as was possible, in a selection of language really used by men” (Preface to the second edition of Lyrical Ballads). Samuel Taylor Coleridge, in his discussion of Wordsworth’s literary experiment in Chapter 14 of his Biographia Literaria, adds that Wordsworth’s poetry would allow “awakening the mind’s attention from the lethargy of custom, and directing it to the loveliness and the wonders of the world before us” (Qtd. in Critical Theory Since Plato 505). A few years later, Percy Byshee Shelley (in response to Thomas Love Peacock’s satire of poetry) composed his Defense of Poetry, in which he claims that poetry “purges from our inward sight the film of familiarity” and in turn “lifts the veil from the hidden beauty of the world, and makes familiar objects be as if they were not familiar” (542). The argument here for the distinctive power of poetry would be echoed nearly one hundred years hence by the Russian Formalist critic Viktor Shklovsky who made a case for what he called defamiliarization. In “Art as Technique,” he makes a distinction between artistic language and everyday language, arguing that “the purpose of art is to impart the sensation of things as they are perceived and not as they are known. The technique of art is to make objects ‘unfamiliar,’ to make forms difficult to increase the difficulty and length of perception. . . (800). In these comments about the distinctiveness of poetry one hears a broader claim that art frees the mind from convention. In the words of William Blake, “poetry fetter’d, fetters the human race.” My point here is not necessarily to endorse such a position. Rather I am interested in the claim as an example of an answer to the questions about the literary you have been asked to consider in this course. Among the outcomes of taking an undergraduate degree in English is an understanding of the intellectual questions that inform literary studies, and that arise in the ongoing conversations about imaginative thinking and its place in human experience. This entry was posted in Volume 1 Spring 2013 and tagged Coleridge, Labov, literary form, literature, Pratt, Shelley, Shklovsky, Wordsworth on March 1, 2016 by admin.